Barry R. Willis's New Book 'The Banjo Pilot' is a Candid Retelling of a Bluegrass Banjo Player's Vivid Life of Music and Plane-Piloting. 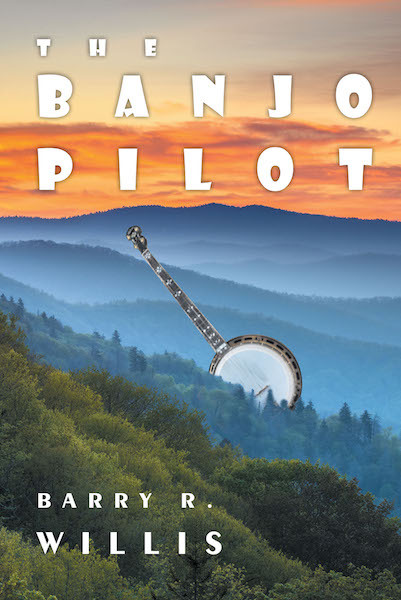 Recent release "The Banjo Pilot" from Covenant Books author Barry R. Willis tells the evoking life of a banjo musician-turned-aircraft pilot as he finds his way back to the world of bluegrass. KAILUA-KONA, Hawaii, November 7, 2018	(Newswire.com) - Barry R. Willis, a published author who is active in the International Bluegrass Music Association, Print Media; a former FAA flight instructor and Alaskan bush pilot in southeast Alaska; a pilot for Bureau of Land Management and US Forest Service; and retired captain from United Airlines in 2005, has completed his new book, “The Banjo Pilot,” a gripping biography of Duke Steel and his reacquaintance with bluegrass banjo music following a personal tragedy and a hiatus as a plane pilot. Duke Steel, the protagonist of "The Banjo Pilot," teaches a young bluegrass band about some important aspects of bluegrass music: "When it works, it's good. When it don't, it's the sorriest music in the world if it ain't played right. When it works, there ain't nothin' like it. It's sweet as honey! But when it ain't workin', it just kills me. Used to be when we'd play in my band, if there would be a fiddler or a rhythm guitar player who's standin' next to me who's dragging a little bit, wantin' to hold back a little bit, I get out of breath, and it just wears me out. I want to kick his--pardon my expression--but I want to kick his hind end right good. Wake him up. Knowin' how bluegrass should be played has made me a bit intolerant of people who play it with the wrong rhythm. It just makes me real uncomfortable. Bluegrass music, if it's played right, I say is one of the hardest music in the world to play." Published by Covenant Books of Murrells Inlet, South Carolina, Barry R. Willis’s new book reveals the genuine image of a man’s unbound passion for music that and inspires strength and power to overcome anxieties and heartaches in life. This novel also features extensive coverage of flying, bluegrass music and its pioneers, religion, tension and excitement, and romance. Readers can purchase “The Banjo Pilot” at bookstores everywhere, or online at the Apple iTunes store, Amazon, or Barnes and Noble.